50 celebrities. 50 pro gamers. One Victory Royale. Join us this E3 for the ultimate Fortnite Party Royale, pairing some of the world’s greatest athletes and entertainers with top Fortnite Battle Royale players from across the globe. 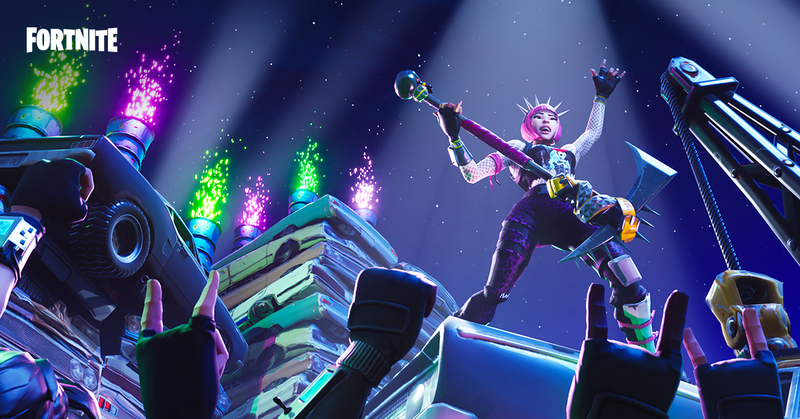 Teams will clash in the premier Fortnite Celebrity Pro-Am in Los Angeles during E3. One team will rise to the top for ultimate bragging rights. Who will claim Victory Royale? We’ll soon begin building the teams, so stay tuned for more information on the event. And one more thing... details on the first season of competitive play coming in the next few weeks!